Sam Houston SMTC junior Vanessa Luna Tinoco received the Sofia John STAAR Achievement Award recently for having the most improved score on the second round of STAAR science testing. Tinoco received $600 and a story about her posted on the school’s website. This entry was posted in Achievement/Recognition, High Schools, HISD: Our Story, STAAR, STEM and tagged Sam Houston Math Science and Technology Center on November 5, 2018 by HISD Communications. The CollegeBoard announced that it is investing $25 million over the next five years for its new Opportunity Scholarship. 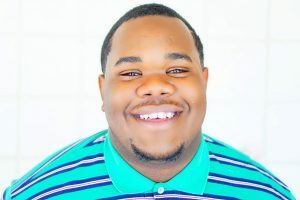 And to kickstart that commitment, Booker T. Washington High School 2017 graduate Matthew Blue has been awarded a $40,000 scholarship to continue his studies at Langston University in Oklahoma. This entry was posted in Achievement/Recognition, College Readiness, Global Education, HISD: Our Story and tagged Booker T. Washington HS, CollegeBoard, Good Morning America, Khan Academy on November 5, 2018 by HISD Communications. The Houston Independent School District is announcing new area superintendents for the 2018-2019 school year to lead three areas of the district. In HISD, area superintendents lead key areas covering all schools in the district, which are being modified from seven to six areas for 2018-2019: Achieve 180 Schools, and the North, Northwest, South, East, and West areas of the district. This entry was posted in HISD: Our Story, News, Staff updates on July 19, 2018 by HISD Communications. HISD hired nearly two dozen interns for its 2018 Summer Leadership Program, exposing students to possible careers and skills employers demand in an increasingly technological workforce. The students were assigned to various administrative departments, including Informational Technology, College and Career Readiness, Communications, and Procurement. This entry was posted in College Readiness, Global Education, HISD: Our Story and tagged internships on July 18, 2018 by HISD Communications. Andreas Peeples was in grade school when he first became fascinated with the idea of building things. At just 8, he often found himself staring at walls, trying to figure out how they stood up by themselves and what they were made of. “I would go behind the door and poke little holes in the wall to see what was in there,” Peeples said. 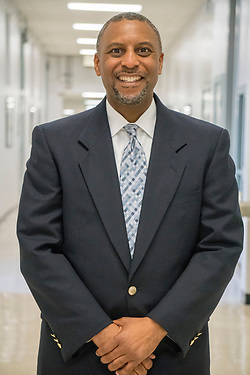 Now, the general manager for HISD’s Construction Services is responsible for building them. This entry was posted in 2012 bond, Business Operations, Facilities Services, HISD: Our Story and tagged 2007 bond program, 2012 bond, Bond Oversight, construction, Construction and Facilities Services, HISD OurStory on July 5, 2018 by HISD Communications. 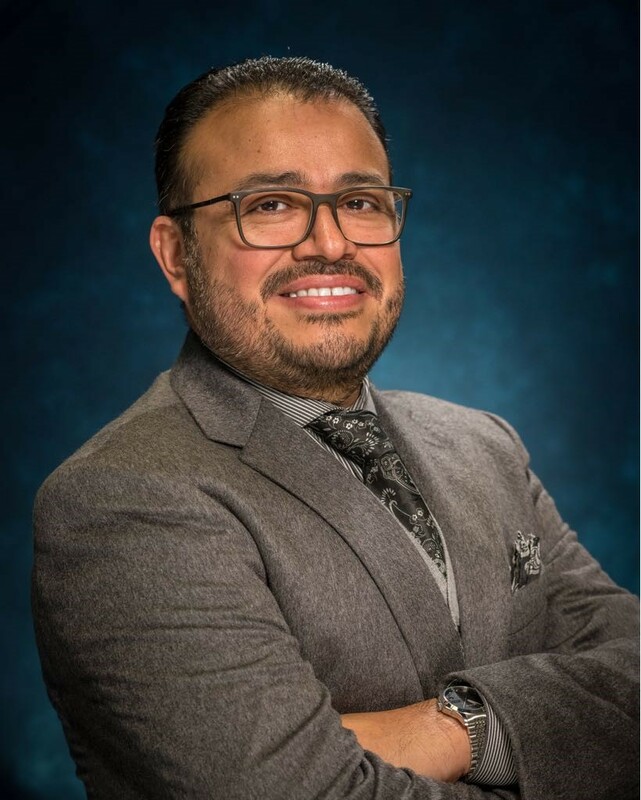 Geovanny J. Ponce, principal of Jones Futures Academy, has been named the 2018 Region 4 Principal of the Year by the Texas Association of Secondary School Principals (TASSP). Ponce joins winners from the state’s 19 other Education Service Center regions in a pool of candidates for the honor of Texas Principal of the Year title. TASSP recognizes outstanding principals and assistant principals from each of the 20 regions every year. This entry was posted in Achievement/Recognition, Futures Academy, HISD: Our Story, I Am HISD, News, Parents on June 29, 2018 by HISD Communications. 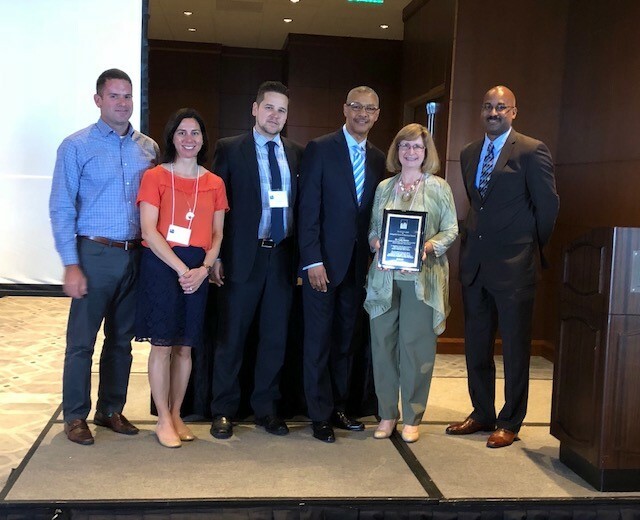 HISD’s Department of Curriculum and Instruction has been awarded the “Making Strides Together Curriculum Award for Excellence in Urban Education” by the Council of the Great City Schools for the district’s work on its Achieve 180 program. HISD Assistant Superintendent of Research and Accountability Carla Stevens displays her award for 25 years of service. The award, which was presented this week in Minneapolis during the Annual Curriculum and Research Directors’ Joint Meeting, recognizes work across organizational silos to support a common goal to improve student achievement, as well as cross-functional teams’ planning, implementation, and progressmonitoring. This entry was posted in Achieve 180, Achievement/Recognition, HISD: Our Story, News and tagged Research and Accountability on June 28, 2018 by HISD Communications.